Investors are eagerly awaiting an $84 billion payout from Vodafone, which is the second largest company traded on the London Stock Exchange. Vodafone shareholders are set to receive an $84 billion (£54.3 billion) windfall after the British telecommunications giant agreed to sell its stake in Verizon Wireless for $130 billion. The payout could give a boost to the U.K. economy and stock market as investors will soon see more money deposited in their accounts, and could be tempted to go out and spend or invest in other companies. This is one of the biggest corporate deals in history and Vodafone (VOD) is planning to pay out 71% of the net proceeds to shareholders. For an individual investor with £5,000 pounds in Vodafone shares, that could mean a payout worth £2,600. But the payout won't be made solely in cold hard cash. Roughly 30% will be in cash and the rest in Verizon Communications (VZ) shares, although the cash element could rise should Verizon exercise an option to reduce the stock element of the deal. The proposed payout is far higher than most analysts were expecting. Several market watchers had anticipated the telecoms giant would pay upwards of $50 billion to shareholders. Worth just over £100 billion, Vodafone is the second biggest company traded in London and is one of the most widely held companies in the U.K. According to latest company data, there are roughly 500,000 individual investors around the world who each own up to 5,000 shares in Vodafone, and more than 40% reside in the U.K.
Nearly 21% of Vodafone's 48.5 billion ordinary shares are held as ADRs. Rodney Hobson, a British investor and personal finance author who owns Vodafone shares, said he plans to reinvest his cash payouts back into the markets. "Most people, like me, will reinvest the money," he said. "I think this will underpin the U.K. stock market. I don't think people will take the money and spend it -- they may do, but I think they will reinvest it," he said. In addition to a special payout, Vodafone said it will hike its normal dividend payment by 8% next year and will keep growing its dividends in the years ahead. Vodafone also detailed plans to invest £6 billion in its current business, but may use any excess cash for further acquisitions and paying down debt. Some investors are hoping Vodafone will take a cautious approach to any new purchases. "I don't want Vodafone just turning around and spending the money on any old acquisition. I'd prefer to get all the money myself if it can't find any good deals," said Hobson. 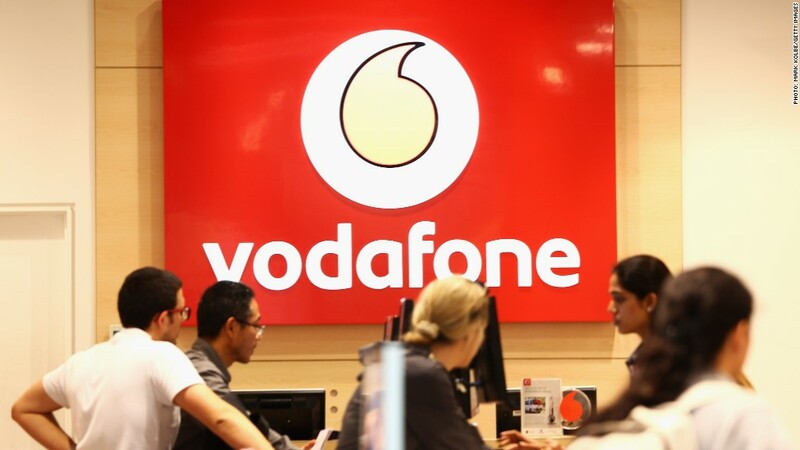 While a large payout may sound wonderful, economists say a special dividend won't actually make Vodafone investors any richer as they're trading ownership in a U.S.-based telecom company for a one-off payment. But "they may feel wealthier," said David Tinsley, a London-based economist at BNP Paribas. And if they feel wealthier, they might end up spending more. "It could have an effect on their consumption behavior at the margin," said Tinsley. Any payout would have to wait until the deal closes, which is expected in the first quarter of 2014. By then, the U.K. recovery is predicted to be well underway.